A wonderful reminder for your sweetheart everyday. 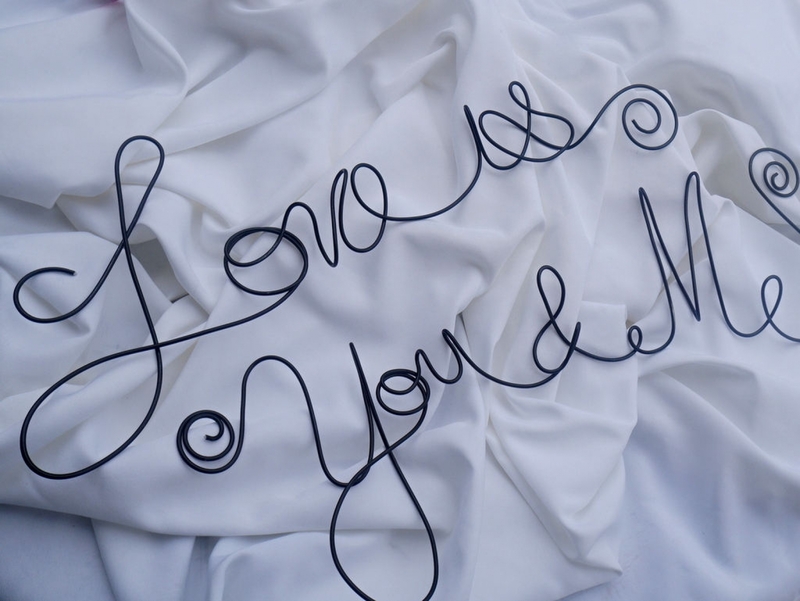 This "love is you & me" wire sign is great for any bedroom wall of your master bedroom. Modern and simple this handmade metal wall hanging created with very heavy gauge wire. Not wimpy and will not unravel. Comes as two pieces for placement as you wish, straight, staggered, slanted. DIMENSIONS: Completed length is Approx 8 inches x 36 inches. Lead time of 7 business days. Made to order and ships Priority with delivery confirmation.